The North Iceland Symphony Orchestra was founded in the fall of 1993 and the first concert was held on October 24th that same year, with Guðmundur Óli Gunnarsson conducting. The precursor of the orchestra, the Chamber Orchestra of Akureyri, was founded in 1987 by musicians, most of whom were employed at the Akureyri Music School. On October 16, 1988, the Association of Enthusiasts was established for the operation of the Chamber Orchestra of Akureyri. The purpose of the company was to be a sponsor of the band and to provide assistance in conducting a concert. The Chamber Orchestra of Akureyri held numerous concerts. It was clear from the outset that the manpower to appoint a large orchestra was not sufficient in Akureyri and the surrounding area, so there would be search for assistance in the capital area. Musicians who were former habitats of Akureyri, would join and play with the orchestra. Various conductors worked with the Chamber Orchestra of Akureyri. The one who conducted most of the time during those years was Roar Kvam. When the Chamber Orchestra had established a permanent place in the musical life in Akureyri, work began on strengthening its position, i.e. by obtaining grants from the state. In the fall of 1993, the name of the Chamber Orchestra of Akureyri was changed and the North Iceland Symphony Orchestra was formally established. This was suggested by Ingólfur Ármannsson, a cultural representative of the Akureyri town in order to make it easier to seek financial support from the state, which at this time began to support the operation of the orchestra – first with direct support but later through a contract with Akureyri town. The Association of Enthusiasts of the Chamber Orchestra of Akureyri held an annual general meeting on October 5th, 1993. At that meeting it was proposed that the company was to merge with the Akureyri Music Association and these companies jointly would establish the North Iceland Symphony Orchestra. The North Iceland Symphony Orchestra is 25 years old and has grown and prospered and held numerous concerts in Akureyri and in many parts of the north, in Eldborg Hall, Harpa, Greenland and elsewhere. Looking back, the orchestra has performed more than 100 programs and has played almost all types of classical music ranging from baroque to contemporary music as well as rock, jazz and pop. It has cooperated closely with Akureyri Theater Company, which has been involved in various ways, including the installation of the musicals of “Söngvaseiður” (Song Wizardry) and Oliver as well as participation in projects of different sizes. 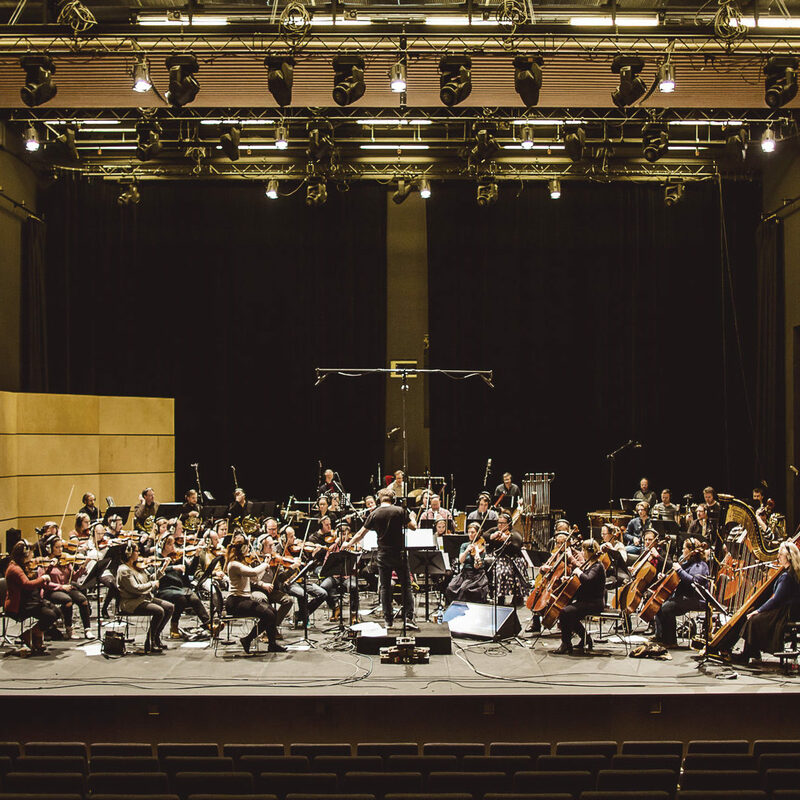 The establishment of the Cultural Association of Akureyri aims at even more cooperation between Akureyri Theater Company, The North Iceland Symphony Orchestra and Hof.